When the recession was about to end Toyota’s sales results were not as spectacular as VW but May this year was a great month for the producer of Camry, Corolla or Lexus. In May they managed to sell over 243,000 brand new cars all over the States. It was the best result for them in the last 6 years. However, in 2008, in May, they sold more than that. It only shows what the global breakdown had done to the automotive market. 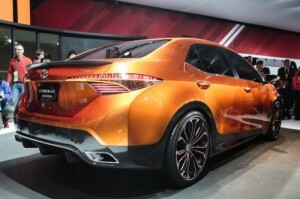 But this year looks really good for Toyota which is strong as never in the last turbulent period of time. If they keep the sales on the same level, if the sales don’t drop dramatically it may be one of the best years ever for Toyota. What is also good for the brand is that they are not strong with just one model of a cheap, economical car which will sell regardless the market situation. The biggest name and the best car is obviously Corolla. Did you know it has already been the 11th generation of this worldwide known vehicle? Yes, it has. Corolla has always been very popular and reliable. For many it is considered to be the best saloon car ever, of course everyone can have their own opinions, and surely it is one of top 5 models with the biggest sales ever. Not only in the States. Wherever it has been put for sales, any continent where it is present, Corolla gained thousands of enthusiasts. It is not any different when it comes to the second hand market. Especially when people have no or less money and still want to drive a good car. Corolla will always be in the top 10 of second hand most popular cars. Any car dealer you speak to will always tell you that this is the car worth going for. But what is the most exciting for me when it comes to Toyota are their hybrid cars. First of them is Camry. We need to remember and distinguish between hybrid and non-hybrid Camry cars and their figures. 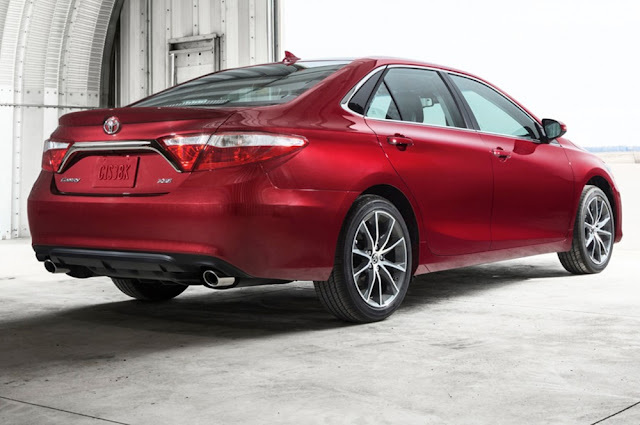 The non-hybrid Camry sales rose 22.3%, to 44,385 units sold. Hybrid cars exceeded 5,000 units. I hope that electric cars will soon dominate the market or at least play a bigger role. So far their market share is not too high. I think people still don’t trust to much in such solutions and the technology itself still is not perfect. As a regular car user I can’t understand it, as electric engines were prior to internal combustion engine, but this is a subject of another deliberation. However it is worth having a look on all hybrid car sales in the USA when we discuss this matter. Despite the growing number of hybrid cars being sold, Americans are still more likely to buy traditional cars. Did you know that there are 47 different kinds of hybrid cars in the USA? It actually much more than an average Joe expects. We just see the commercials, hear about them from time to time, some distant relatives bought one but they still are not present on the large scale. Today hybrid cars are maybe 4-5% of the market. Could be better. So what are the reasons for it? Market analyzers say that stable fuel prices are the reason why Americans still go for the well known and tested solutions. Besides not everybody knows that in a hybrid car you need to change the battery more often which is rather discouraging. 8 out of 10 of us reading this article have never changed one in the car they owe. If we all had hybrid cars we would have to face this problem for sure. But when it comes to numbers it is till impressive. Nearly 600 thousand sold in the last year. Not bad. It only shows how dynamic American market is and how many consumers there are. Every item will find its buyer. This will never change. 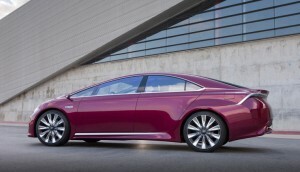 And guess what is the most popular hybrid model in the USA? Any ideas? It is Toyota Prius. It could not be any different. Prius basic version makes 23% of all hybrid cars driven on American roads. So is there any more room for any other brand or will Toyota dominate this sector? I think other brands will treat this competition seriously and soon someone else will be as strong as Toyota. People and the market like diversity. One brand is not enough. The statistics show it perfectly. You think 23% is a lot? In 2011 it was 55,3%. Oh and by the way, remember that 23% is just the basic line. All Prius cars reach even 40% level of hybrid cars on the American market. They plan to sell up to 15,000 cars of this type in 2014. Let’s wait and see if they can make it. But Toyota is not just Corolla, Camry and Prius although many may think so. They increased their sales in other sectors as well. 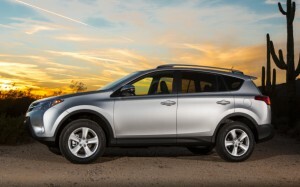 RAV-4 the popular light truck is also selling well. But could it be any different? We love such cars here in the USA and all sort of pick-ups, vans mini vans and trucks have been the top sales. Even if they did not win the European market we had them here in all shapes and configurations. Oh, and when we are discussing Toyota, we can not forget about the most luxurious car of the company. Lexus. And again, the sales have improved in comparison to previous years. But if we start to feel stable in our economy again, why shouldn’t we feel stable in our cars? And we all know how wonderful Lexus cars are.